Join KNOX on December 14th at 5pm in the greenhouse to learn the basics of bee-keeping and uses of bee products! 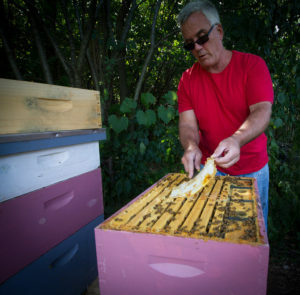 Brian Mills is the bee keeper at KNOX and owner of the Hartford Honey Co. He will cover everything a beginner beekeeper needs including where to get supplies, the foundations of beekeeping, and how to use bee products.